The Sabres owe him $6.333 million over the next eight years, money that will count against the salary cap until 2022-23, according to generalfanager.com. They must absorb a $1,041,666 hit next season. The number never rises above $791,666 after that. Hodgson, who also played center, scored one goal in a 47-game stretch from Oct. 28 to Feb. 22. He endured goal droughts of 27 and 19 games, went 17 straight contests without a point and was also a healthy scratch. 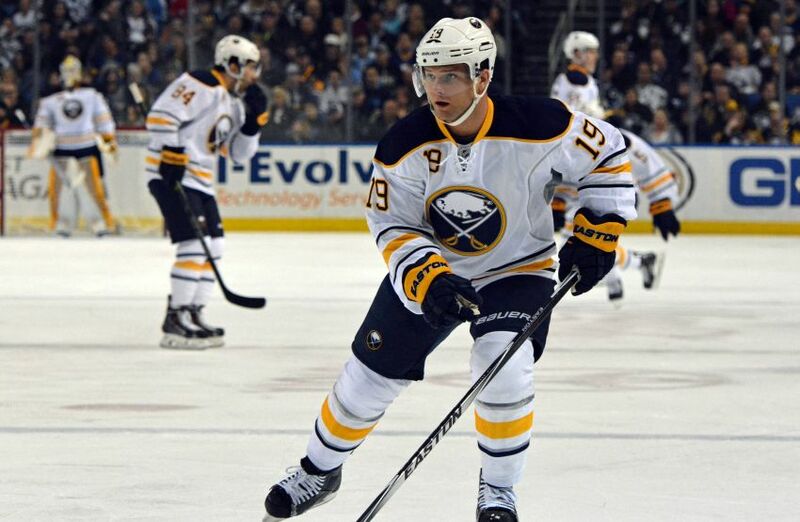 The Sabres acquired Hodgson, the 10th overall pick by the Vancouver Canucks in 2008, for winger Zach Kassian at the 2012 trade deadline. Goalie coach Arturs Irbe won’t return for a second season with the Sabres, new coach Dan Bylsma told WGR on Monday. The loquacious Irbe was the only coach Murray retained after firing former coach Ted Nolan on April 12. Murray said then he would leave Irbe’s future up to the new coach. The Latvian, a former NHL-All Star, earned high praise last season for helping the Sabres’ regular goalies – Jhonas Enroth, Anders Lindback and Michal Neuvirth – thrive despite poor defensive play all around them. The Sabres allowed a league-high 35.6 shots a game. The Sabres gave qualifying offers to seven restricted free agents on Monday before the deadline: forwards Jerry D’Amigo, Johan Larsson, Tim Schaller and Phil Varone; defensemen Jerome Leduc and Mark Pysyk; goalie Nathan Lieuwen. Winger Jordan Samuels-Thomas, who spent all season in Rochester, didn’t receive one. The Sabres could still bring back Samuels-Thomas later, his agent, George Bazos, told the Times Herald. He said Murray wants some contract flexibility heading into free agency, which begins Wednesday.